This year I decided to delve into the world of the Smart Home and although it is relatively well established and there are many great products it is also a time of competition for the big players that whilst pushing the boundaries that benefits the consumer by creating amazing products but may well hurt the individual in the pocket if they don’t choose wisely (as much as you can) and invest in an ecosystem that may be destined to fail against the competition. Take for example Belkin’s WeMo Smart Switches , a stand-alone smart socket product in their own right with an App for both Android and iOS devices, they function happily with the Amazon Echo (for those that don’t know the Echo is a hands-free speaker voice controlled speaker that connects to the Google Alexa Voice Service to play music, provide information and control smart devices). Anybody investing in them heavily may have felt that their money may have been spent on the wrong product if they wanted to get involved with Apple’s HomeKit solution (fear not, for it has been recently announced that they are to be compatible through an additional hub). So although you may take a wrong turn, lose-your-footing or lighten-your-wallet or purse upon the journey to a smarter home the future is brighter and evolving all the time, especially from this current year onwards. 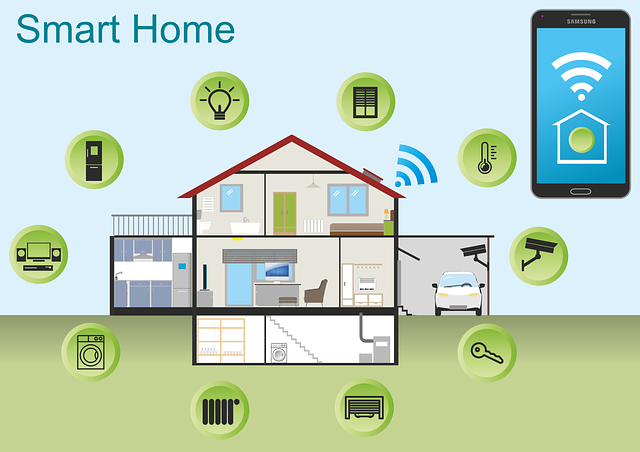 Over the next year there will be a number of posts connected with the Smart Home and associated devices. The lag behind the US, we only have a small amount of devices compared to the US. Try looking for a Smart Light Switch and you will quickly realise. Of course all of this is likely to have implications upon education – using them in class as virtual tutors? upskilling electricians, engineers or technicians for installation? there is evidence of them creeping into more everyday life (a hotel in the US now has one Amazon Echo in all rooms, over 100, to offer information and ordering facilities as well as comms between rooms. So exciting times ahead.